Think £579 for a 3G Motorola Xoom is a touch pricey? Then Carphone Warehouse might have the answer. The mobile store, which is exclusively stocking the 3G version of the Android tablet, is now selling the Xoom for £199 on contract. The deal offers unlimited data on Carphone's own Talk Mobile service and will cost you £25 a month over two years, as well as the up-front cost. Over the 24 month period the whole deal clocks in at £799. However, it's worth remembering that even if you do fork over £579 for a SIM-free model, you'll still need to pay for a data deal. Ultimately, this doesn't look like a bad deal if you fancy an Android slate, but haven't got the requisite readies to hand. 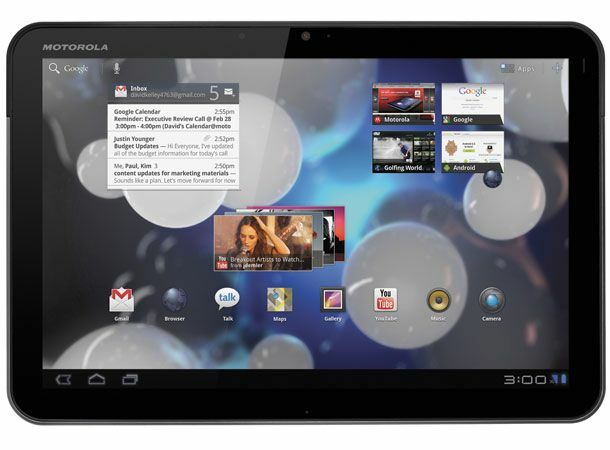 Is this enough to tempt you into buying a Motorola Xoom? Let us know now on our Facebook and Twitter pages.